There are honors and then THERE ARE HONORS. You know, the ones that drop your jaw a bit, sit you up a little straighter, and make you check the email header in case it was an accident and this congratulations email was really meant for someone else. When I received the email saying that I’d been named to American Photo Magazines list of Top Ten Wedding Photographers in 2012 I was completely blown away and humbled. 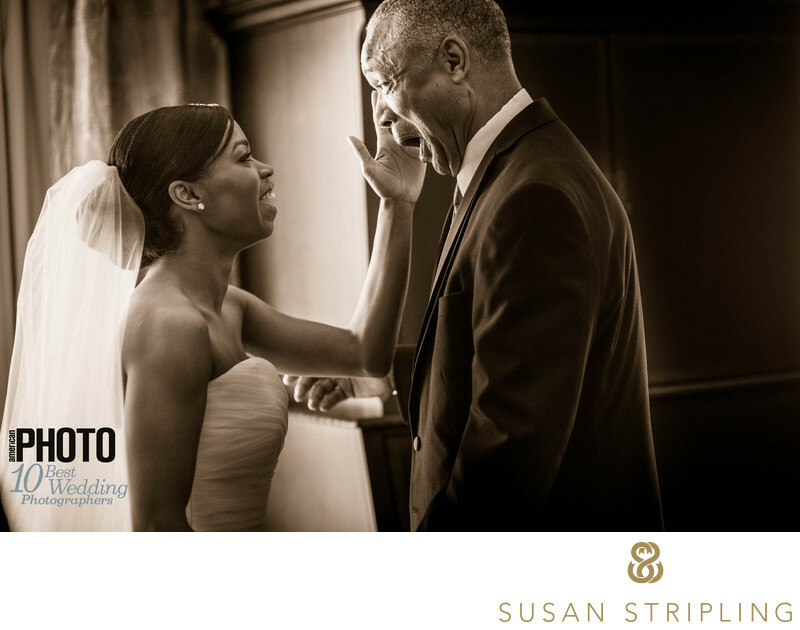 It remains one of my most cherished honors and it was a delight to be on a list with so many other talented, experienced wedding shooters. This image was one of the images that ran with the story in American Photo magazine, which you can read here! This image has long been a favorite of mine due to it’s frank, sincere emotion and charming simplicity. This image was taken at a wedding in Lexington, Kentucky, and this moment was when the father of the bride saw his daughter in her wedding dress for the first time. I love the look on his face and the tender reaction from his daughter. I love the light on the face of the father of the bride and in the veil of the bride herself. I love how honest and pure the moment is. No scripted or prompted moment or instruction of "That was great, do that again, touch his face, just like that!" would ever result in image this genuine. American Photo magazine still has its’ Top Ten list, and each year a new list of shooters takes the place of the photographers from the year before. While I do occasionally wish they’d allow us who have been on the list to be on it again (what, I was only really good in 2012 and never again? ), it’s nice to see the up-and-coming photographers getting the recognition they deserve. I was thrilled to be included in the Top Ten Wedding Photographers of 2012 and every year I strive to do work that is still deserving of that deeply humbling accolade.Keywords: Louisville (15), St. John United Church of Christ (15), The Brown Hotel (12), The Henry Clay (12). 1/160; f/2.0; ISO 400; 85.0 mm.